One of the most visited places in Gravedona, whose roots lie in both the history of the small village that among the powers of wealthy Europeans in 1600. 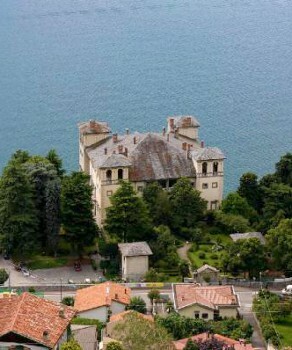 After obtaining the "Feudo delle Tre Pievi" (a feud composed of the three parishes Sorico, Dongo and Gravedona) in 1580, the powerful and wealthy Cardinal Tolomeo Gallio, who already owned several Como properties, commissioned a talented architect (Pellegrino Tibaldi) to design a new palazzo on the upper lake, according to political and strategic rather than aesthetic criteria. 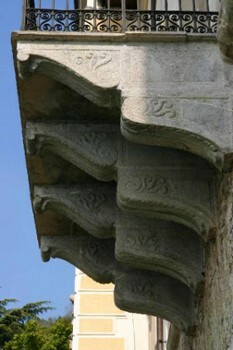 Open from Monday to Friday from 9.30 am to 4.30 pm, free admission. 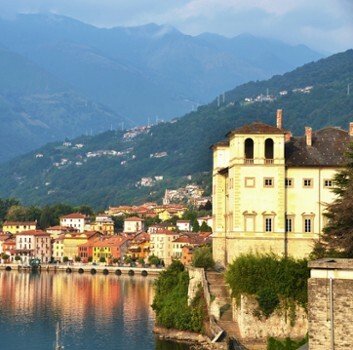 Gravedona is situated in an enchanting gulf, protected to the north by picturesque mountains and allocated in a harmonious way, caracterised by small squares, lanes and alleyways. 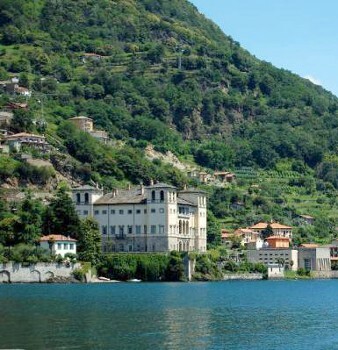 With its churches and monuments, testimonies of a past filled with historic and religeous events, Gravedona is surely one of the pearls of Lake Como. 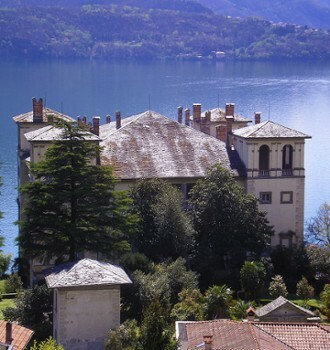 The "feudal" palazzo- castle was erected in 1586; it was right on the water and dominated the entire north end of the lake, with Monte Legnone opposite, and the Val Chiavenna and Valtellina not far away. Nevertheless, there were "gardens, fountains and ponds" on the property from the very beginning, as recorded on the marble plaque beneath the portico facing the lake. 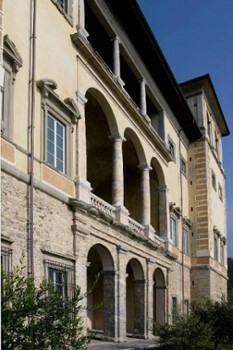 Inherited by the Dukes of Alvito, the palazzo later passed through the hands of several owners, and is now the property of the Comunità Montana Alto Lario Occidentale. 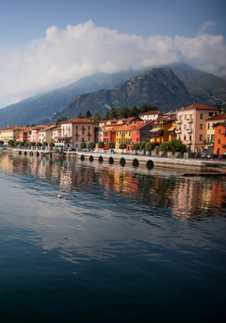 The edifice has always been bounded on one side by the lake, and the ancient Strada Regina on the other. 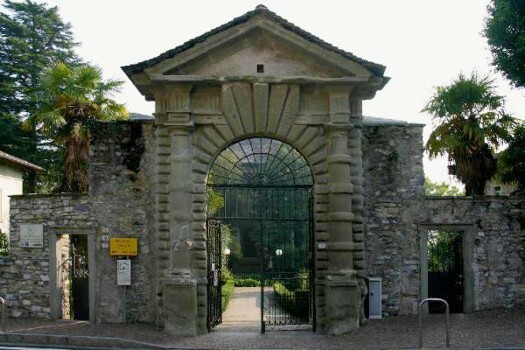 Consequently, the gardens are composed of three sections: one in front of the entrance and the other two on either side, the section on the left being connected by a flight of steps to the private dock. Through the centuries, much of what must have been created in a formal style has been replaced by English-style flowerbeds and trees, large conifers, magnolias and camelias. 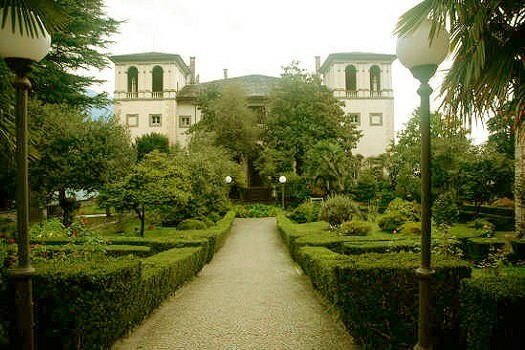 However, the upper, or entrance, garden still has trees incompatible with Renaissance models (the two Magnolia grandiflora on either side of the steps), the layout has remained formal, especially the central walk with box hedges and a fountain basin decorated with herbaceous perennials. 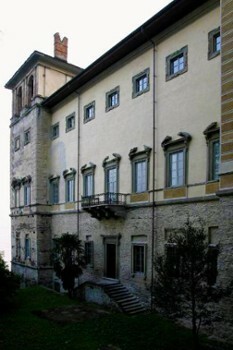 The 'Palazzo Gallio' was built in 1586 on the shores of Lake Como, over the remains of a fortress destroyed in the XII century , commissioned by Tolomeo Gallio who, at the time, was Cardinal and Secretary of the Pontifical State of Pope Gregory XIIIl, It was named "house of delight". 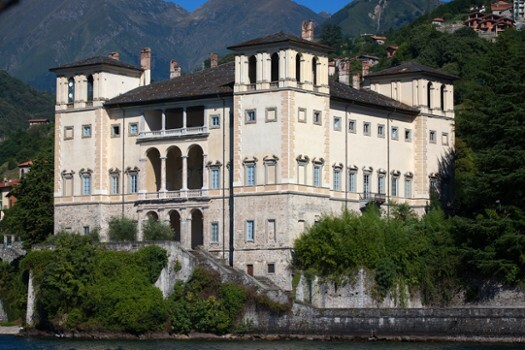 Magnificent example of late-renaissance architecture, Palazzo Gallio has no peers among the historical buildings on the Lake Como and it’s an ideal location for television and movie as well as advertising spots. 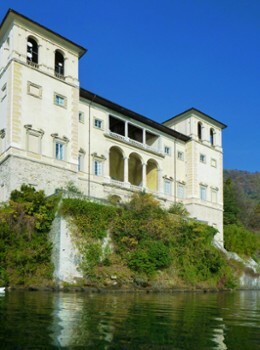 The availability of large salons with balconies overlooking Lake Como, make the Palazzo Gallio a perfect site for events, shows, meetings, congresses, concerts and receptions of any kind. Its enviable position, breatblehtaking panoramas, its historic and, at the same time, romantic atmosphere, will make concerts and time spent with loved ones at wedding receptions unforgettable. The elegance and suggestive atmosphere of this memorable Palace, rich in history and unique culture, will involve your guests in an unique and unforgettable experience. 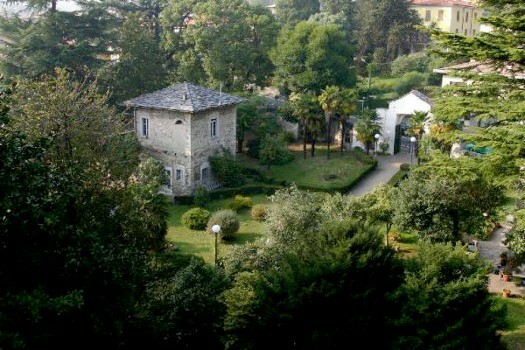 Nearby Things to Do include: Museums such as Dongo Resistance Museum and Palazzo Manzi; Water Activities such as Windsurf Centre Domaso and Rent a Boat Newton; Villas such as Villa Camilla; Towns such as Domaso and Dongo; Churches such as Santa Maria delle Grazie and San Gusmeo e Matteo; Hiking/Climbing Guides such as Hiking Como Lake.